Not only will foam insulation help you save on your monthly energy bills, but some insulation projects also qualify for cash rebates from your energy provider. For a limited time, qualifying energy efficient home improvement rebates are available for residential customers of many Michigan energy providers. 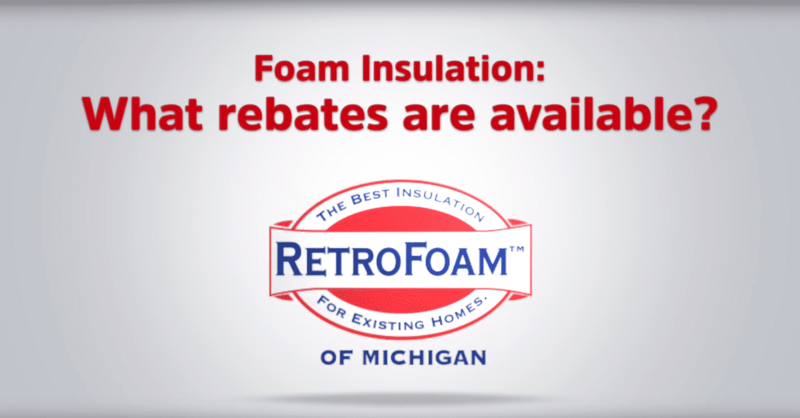 At your RetroFoam of Michigan in-home estimate, we can discuss what insulation rebates you may qualify for. After your job is completed, we’ll make it easy for you to submit the rebates – typically filling out the paperwork on your behalf. Most rebates take from 4-6 weeks to process. To learn more about rebates for your home insulation project, please ask your estimator or give us a call at 866-900-3626.